Discussion in 'Public VFG Fashion Parades & Fresh Vintage' started by carla rey, Sep 9, 2018. Vintage Inspirations: The Need for Tweed! Ever-popular for cooler weather, vintage tweeds provide a certain old school insouciance like no other fabric. No surprise, tweeds are trending again this fall, with designers showing everything from classic to avant-garde looks. And speaking of tweed: Tweed Runs—starting in London in 2009 and spreading all over the world—are cycling events in which participants dress in vintage (or at least traditional) tweeds and are encouraged to ride vintage bicycles. Points for nattiness! Perhaps fashion designers’ use of tweeds have fueled an interest in Tweed Run style…or is it the other way around? One thing’s for sure, from Tweed Run to runway, there’s a need for tweed! The Vintage Vendeuse, amandainvermont, BonniesVintageClothesLine and 3 others like this. The Vintage Vendeuse, amandainvermont, Luna Junction and 4 others like this. The Vintage Vendeuse, amandainvermont, Luna Junction and 5 others like this. Lady Scarletts, The Vintage Vendeuse, amandainvermont and 7 others like this. The Vintage Vendeuse, amandainvermont, Luna Junction and 6 others like this. oh, Deborah. That Valentino suit. Lady Scarletts, The Vintage Vendeuse, The Vintage Merchant and 6 others like this. Thanks, Mary! Clever use of zippers. The Vintage Vendeuse, amandainvermont, Luna Junction and 2 others like this. I love tweed and there are some great examples here! Just noticed this on the Fedora Lounge on Facebook and it made me think of this thread. "Kings Edward VIII and George VI, 1920s. 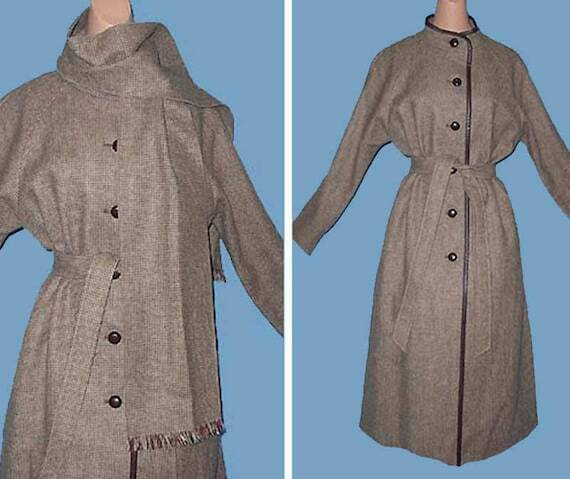 Both wearing Tweed Paddock jackets ( two-button, rather high fastening )"
BonniesVintageClothesLine, carla rey and themerchantsofvintage like this.